This tutu bag is the perfect bag for any little princess who loves Rapunzel from Disney's Tangled movie! Monogrammed canvas bag is approx. 10.5 X 8.5 X 2. 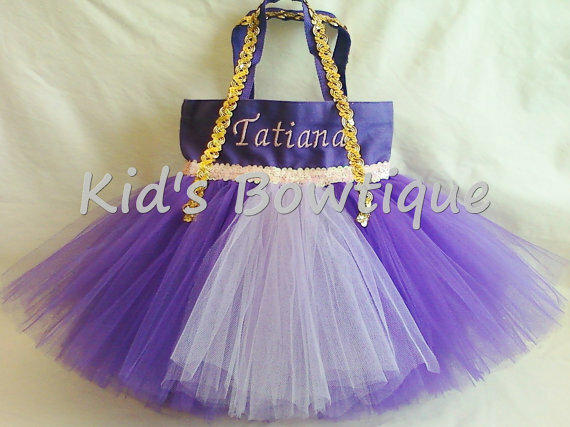 Our unique tutu bag is made of purple canvas for durability, purple/lavender tulle tutu for uniqueness, pink sequins trim for dazzle, gold sequins trim on the handles for color (or you can pick to leave the gold off), and embroidery for personalization!